At any given time you’ll find an assortment of items on our coffee table: yarn, crochet hooks, remote controls, game controllers, books, etc. I don’t mind the clutter, usually, but some times I go on a cleaning frenzy and literally flip the table upside down (after I remove the more fragile objects of course). When the table is tidy the entire living room looks barren and without character. Why is that? I can’t figure it out but the other day, after staring at the clean table, I wondered if a decorative bowl would bring the room together. I like to think this crochet t-shirt yarn bowl is doing the job. What do you think? It takes very little time to make and is great for beginners. 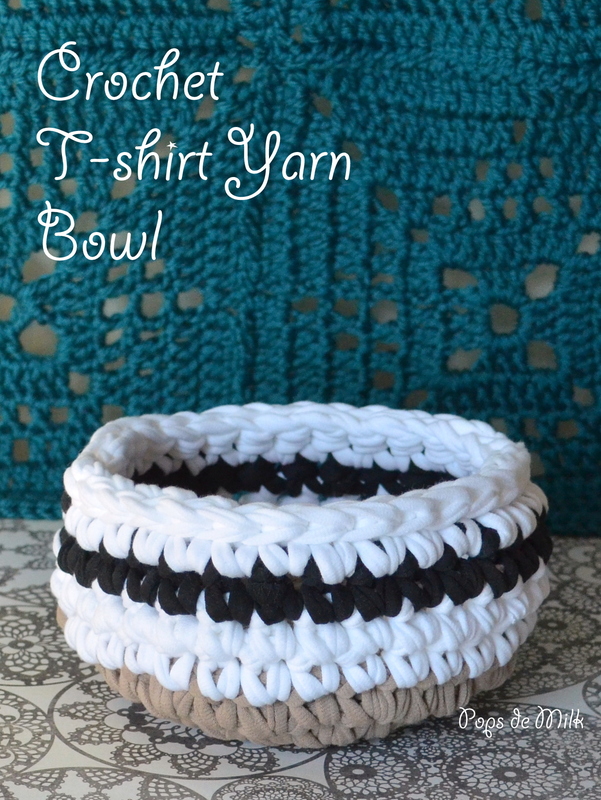 Bonus: you can make your own t-shirt yarn and get rid of old t-shirts! 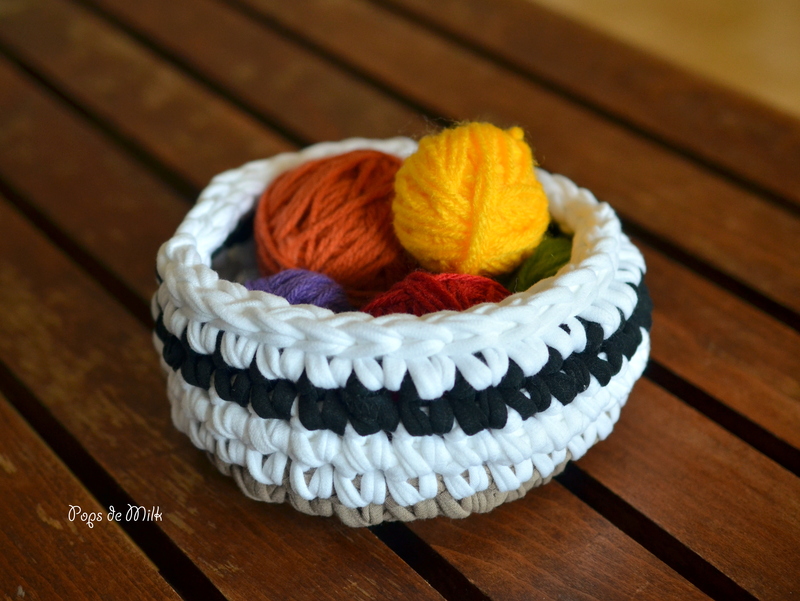 To make this bowl you will need about 120 grams of t-shirt yarn and a size 10.00 mm hook. Pattern is worked in continuous rounds, do not join or turn at the end of each round. Use stitch marker to keep track of rounds. Beginners: refer to this post for help with working in the round. Round 11: sl st around. Fasten off and weave ends. Your bowl is ready to use! Make it decorative, make it functional or both! Liked it? Take a second to support Jason on Patreon!